TL;DR: The Bezalel Omnia is a great idea — magnetic wireless charging for your car — that is hindered by loose vents and weak magnets. Bezalel is a company to keep your eye on. 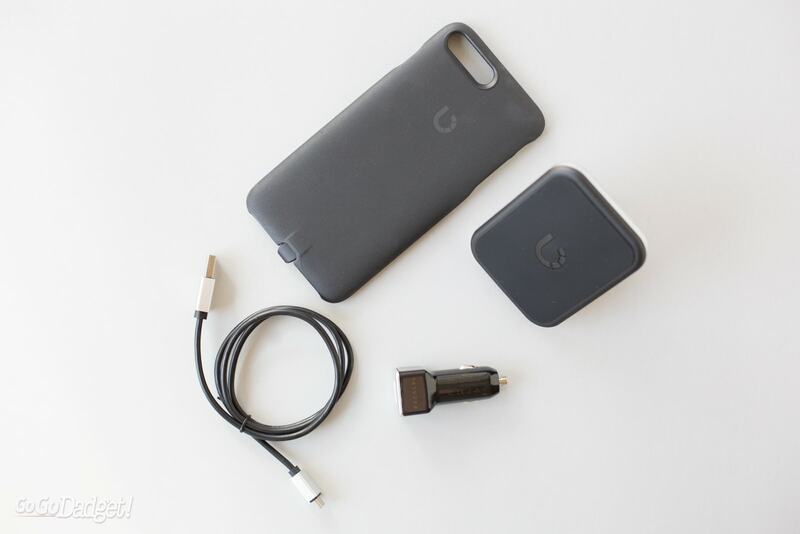 They’re doing amazing things in the charging world, and can only stand to get better. Their designs and ideas are so on point that it breaks my heart that this review won’t exactly be glowing. 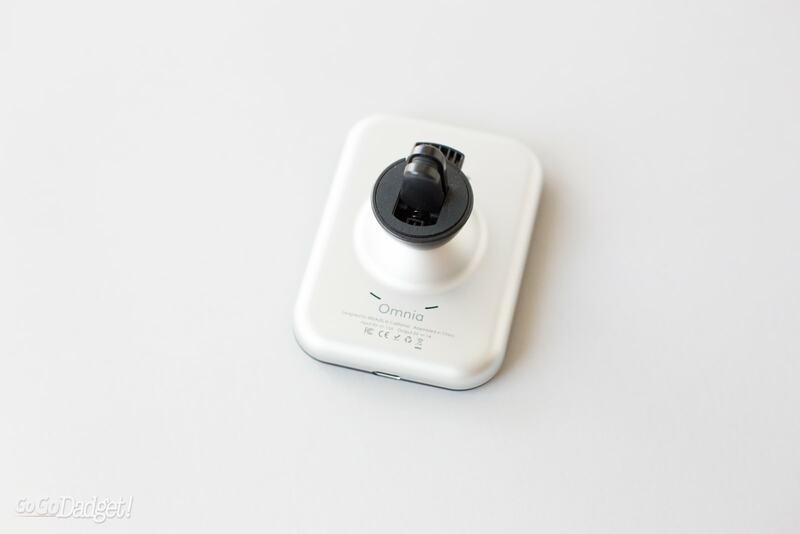 Also, for the sake of full disclosure, Bezalel kindly sent us a sample Omnia to test alongside their Latitude wireless charging case — for free. All they want is for GoGoDadget to be honest, and that’s what we’re all about. The Omnia is handsome, and will look great in any car. 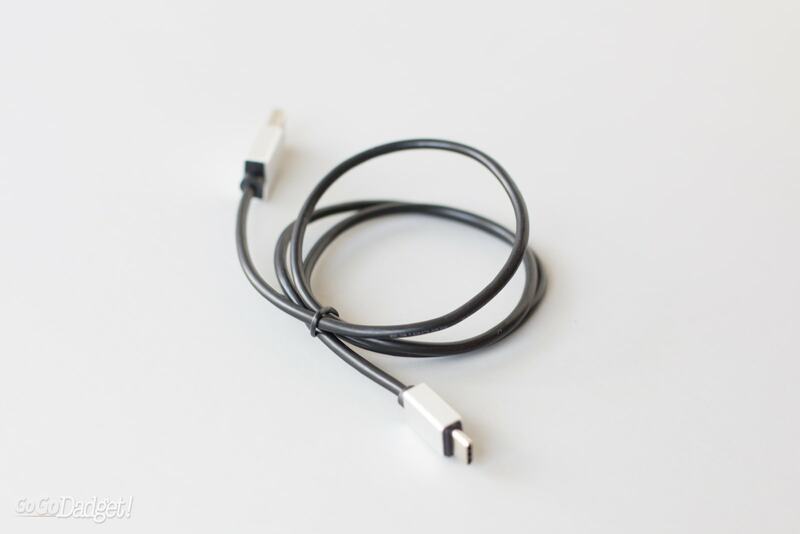 From the matte black rubbery surface to the silver plastic, from the included USB-C cable for power to the soft blue glow of the logo when your car is on, the Omnia is gorgeous. 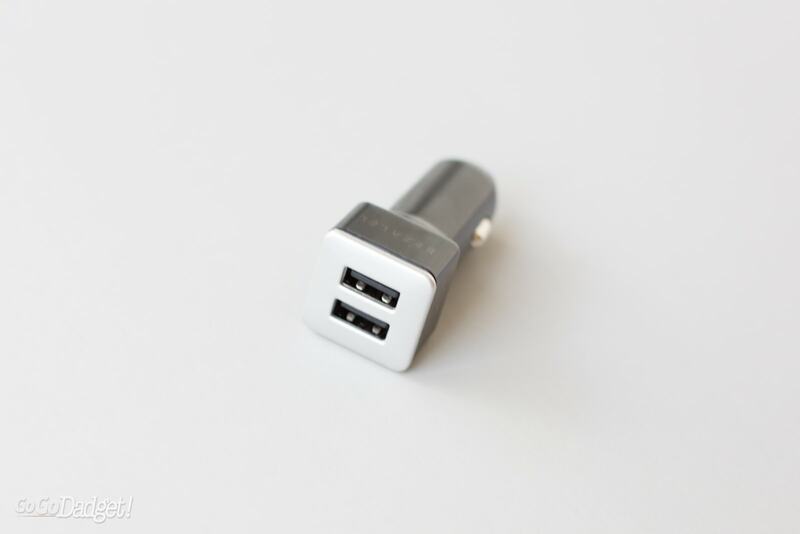 It has a grippy clip on the back of it to slide it on to one of your car’s vents, a USB-C port in the bottom (thank goodness it’s not micro-USB, we are thrilled that an accessory like this has adopted the future), and a dual-USB port on the plug so you can share the power love with other devices. 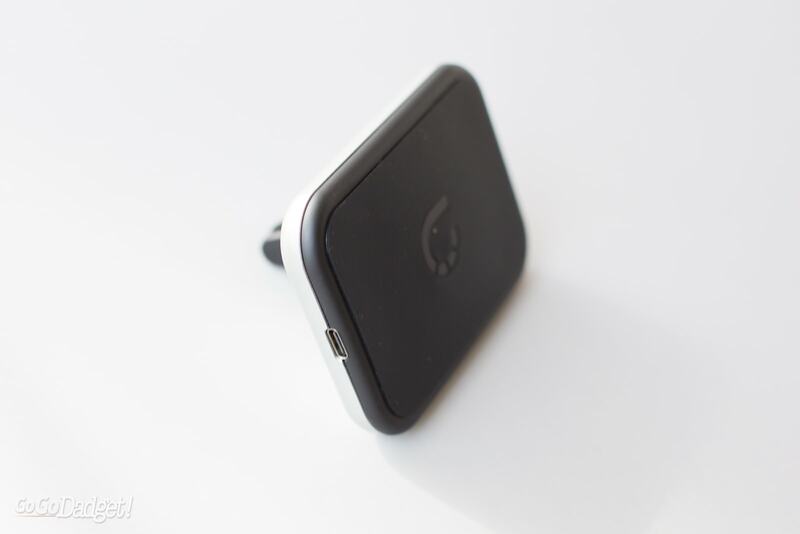 Inside of the Bezalel Omnia are magnets to hold your device, and a wireless Qi charger. Honestly, when it comes to something you’re going to see front-and-center in your car every time you get in it, you could do much, much worse. 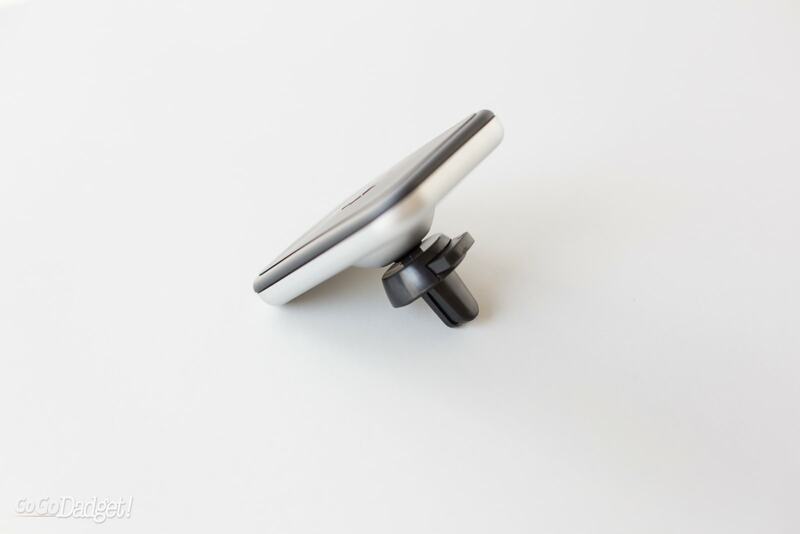 Slide the Bezalel Omnia onto you car vent, then plug it in. Then you put on your Bezalel Latitude case, and then you stick your phone to it. Boom, charging. There’s just a few issues. If your car’s vents aren’t super stiff, the weight of the Omnia (especially with your phone) will make it sink. This could put your phone at non-optimum viewing positions, and just generally annoy the heck out of you. The other issue is that the magnet doesn’t hold very well. While for the most part it does the job, hitting a major bump on the road sent my iPhone 7 Plus flying. That’s not good either. For the next round of Omnia designs, I would prefer a CD-slot version for mounting (or a suction windshield mount, or dash mount), and stronger magnets. It would be nice to be able to use third-party metal plates and your own case if you don’t own a Bezalel Latitude case, but I get why they’re going proprietary. Having the metal plate in a third-party solution would also mess with the wireless charging flow, blocking your phone from getting juice. Someone would have to come up with a different solution. I also understand the vent idea. Not every car has a CD-slot, but all cars have vents. Variations and choice would be nice, even though that adds extra production costs (maybe make them interchangeable?). I really, really, really wanted to like the Bezalel Omnia wireless car charger, but it just didn’t do the trick for me. If your car has impossibly strong vent slats, you might have better luck, but then you’ll just have to deal with the weak magnet anyway. Should Bezalel fix these issues, I can see this product being incredible. Until then, however, your best bet might be going a more traditional route for now. You can get the Bezalel Omnia right here for $59.90 at the time of publishing, if you can look past the flaws.